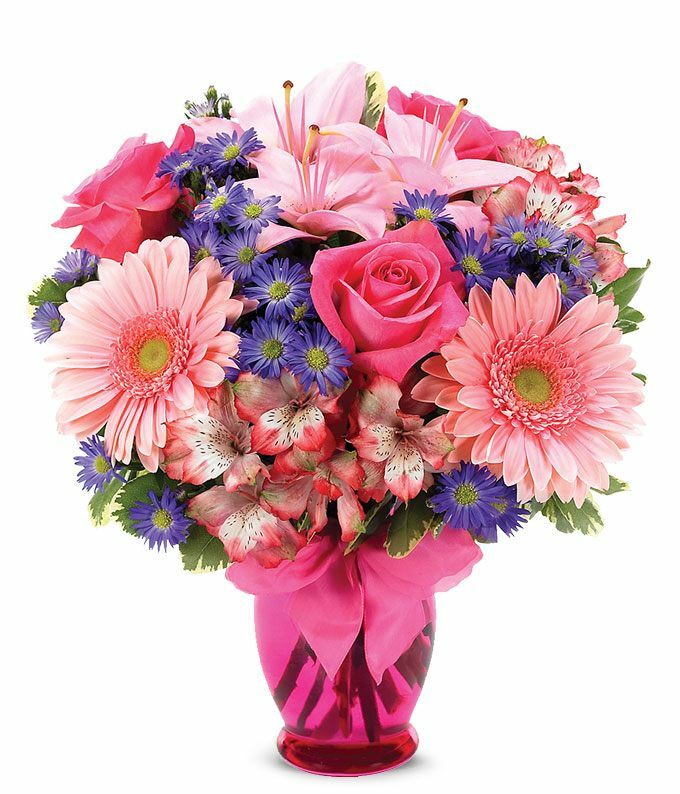 Make your recipient smile with this beautiful and bright pink bouquet. Locally arranged the bouquet includes pink alstroemeria, pink daisies, and pink roses along with purple monte casino, in a pink vase with a decorative ribbon. The Gerbera Daisy Celebration is sure to brighten the day no matter what the occasion!